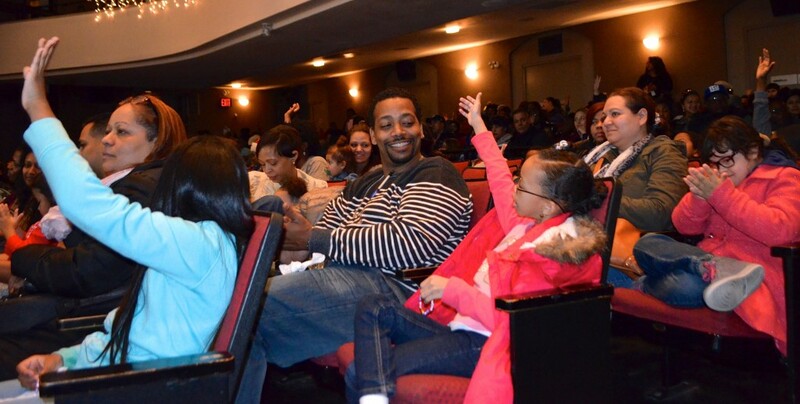 West Harlem Development Corporation gave away hundreds of toys, books and other treats to a crowd of almost 700 at its Third Annual Community Holiday Celebration and Toy Giveaway on Sunday, December 6 at Columbia University’s Miller Theatre. 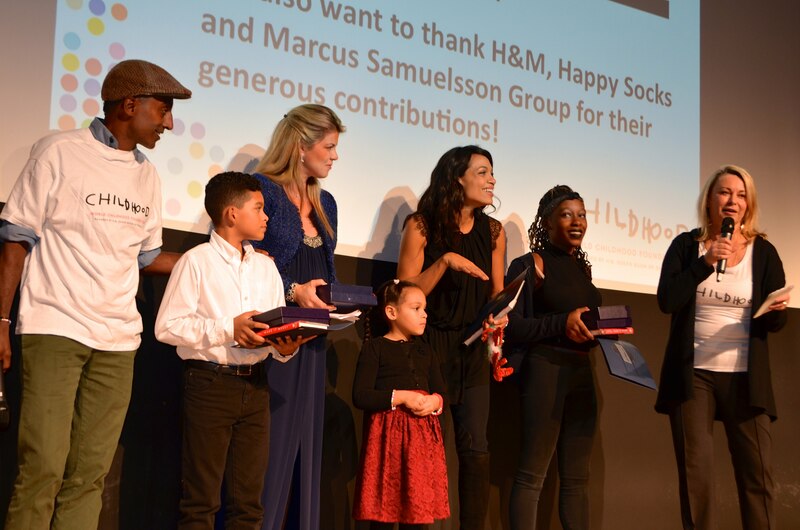 At the event, World Childhood Foundation USA introduced its #EyesWideOpen initiative to the Harlem audience with Actress Rosario Dawson and Harlem-based chef and restaurateur Marcus Samuelsson judging a drawing contest that asked children to create pictures showing what every child deserves. WHDC-funded arts and culture organizations entertained the crowd with Mariachi, Gospel and Opera numbers as well as dance acts that featured teens dancing to Hip Hop and senior citizens getting the audience moving with their spry lyrical moves. National-champion gymnasts rounded out the variety show before educational toys and books were given away in goody bags. 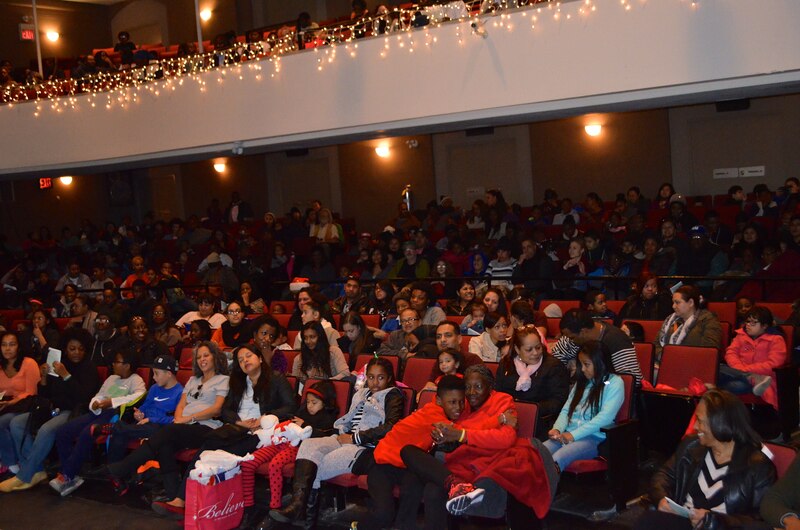 WHDC also recognized and gave prizes to extraordinary West Harlem youth who won the Second Annual White House Student Film Festival and a national gymnastics competition. Childhood USA launched a new digital tool for adults to raise awareness about child sexual abuse, empowering adults to become child protectors because while the holiday season is a time for families and friends to gather, it is also a time of heightened risk of child abuse. The organization partnered with accomplished actress and New York native, Rosario Dawson, Harlem-based chef and restaurateur, Marcus Samuelsson and the WHCD to attract attention to the problem of child abuse and to assist the community of West Harlem in protecting their children. “I support the #EyesWideOpen initiative which can help us to open our eyes and teach us how to provide a safer childhood for all, free from violence and abuse,” Samuelsson said. “All of us must to have our ‘eyes wide open’ to ensure that children are protected from sexual abuse,” Dawson said. 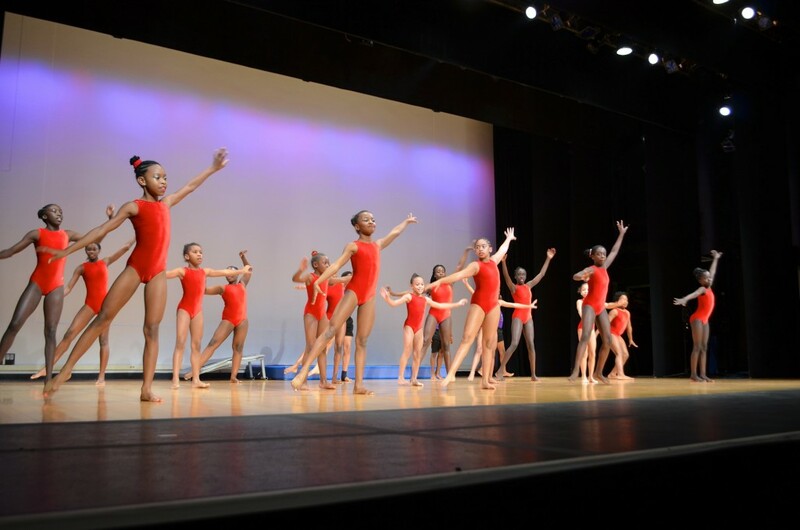 Special thanks to performers Dances for a Variable Population, El Mariachi Infante, Harlem Opera Theater, Impact Repertory Theatre, Mama Foundation for the Arts and Wendy Hilliard Foundation. 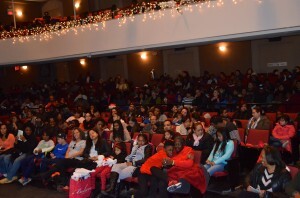 Special thanks also to Alex Brand Toys, Toys for Tots, Mount Sinai Hospital, Columbia University, World Childhood Foundation, Marcus Samuelsson, Happy Socks, H&M, Rosario Dawson and an anonymous cash donor for donations that made the event even more special for West Harlem’s children. For more photos of our performers, check out our Facebook page. About West Harlem Development Corporation: WHDC is charged with implementing the Community Benefits Agreement signed with Columbia University in 2009. 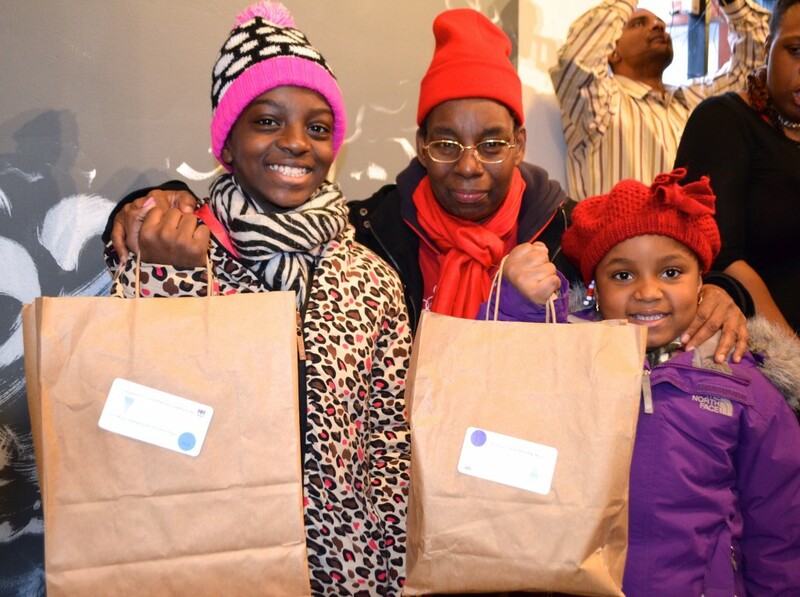 To date, WHDC has provided $8 million in grants to support nonprofit organizations in providing services to the residents of West Harlem, also known as Manhattan Community District 9. The services have been in the areas of education, summer youth employment, summer senior (55+) employment, workforce development, arts and culture, housing, community facilities and the environment. WHDC’s mission is to promote increased economic opportunities and quality of life to sustain a vibrant West Harlem community.